On the eve of Diwali, authorities in New Delhi are worried the fireworks and lanterns people burn for the festival will push the capital's already deadly air pollution levels higher. This week, air pollution levels hit a dangerous peak in New Delhi. 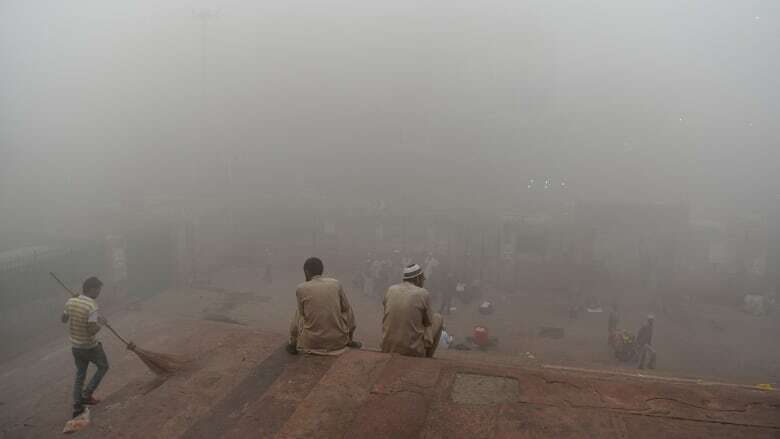 A thick shroud of smog covers the Indian capital, with levels of micro-pollutants in the air measuring 25 times the acceptable limit. Doctors are urging the elderly and people with small children to get out of the city. 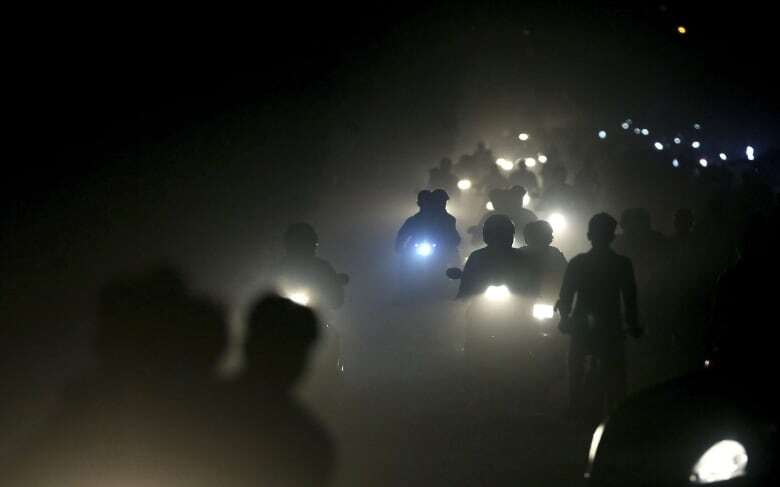 And on the eve of Diwali, an annual "festival of lights" celebrated with elaborate fireworks and lantern displays, authorities fear the air quality will only deteriorate further. Siddarth Singh lives in New Delhi and is the author of The Great Smog of India. Singh spoke to As It Happens host Carol Off about the deadly pollution and why India needs to act quickly to address this persistent problem. Siddarth, what does it look like when you step outside your door in Delhi and see this smog cloud? Yesterday, I woke up around 8 a.m. without any alarm going off because my room was smelling like burning leaves — some form of municipal waste burning, which is pretty common in this part of the country. But then, after waking up, I realized that it's not just me. It's everyone in Delhi who has been facing this issue. Apparently there was a fire that had taken place approximately, maybe seven or eight miles, or around 10 kilometres away from where I am, and the whole of South Delhi had been shrouded by this cloud of smoke. 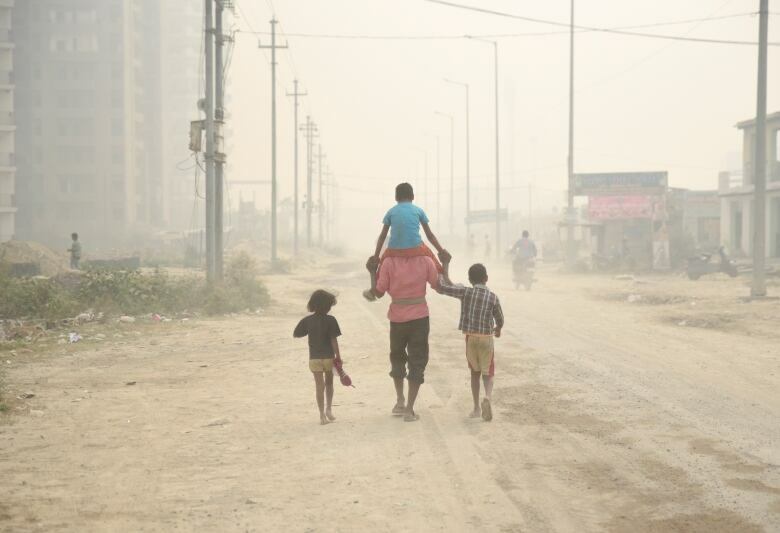 You're talking about this fire that created this additional air pollution [but] we've covered this story about pollution in Delhi before. It's already at toxic levels isn't it? That's correct. 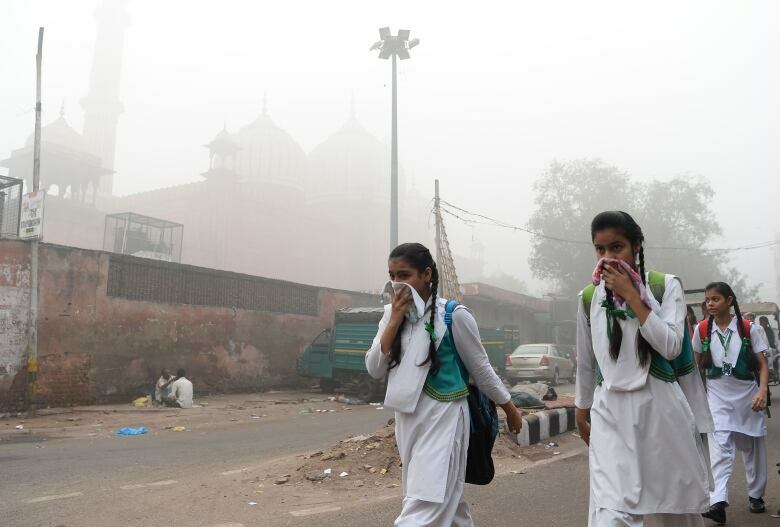 Delhi, and North India in general, have a lot of contributing factors to the air pollution problem. We have the transport sector, the industrial sector, and so on. They all contribute to air pollution throughout the year. But then, at this time of the year, due to a few natural meteorological reasons, any form of additional contribution to the air pollution problem makes it that much worse. And at this time of the year when — be it municipal waste being on fire, or the agricultural fires in the states of Punjab and Haryana — that just makes the situation that much worse. It's hard though to tell farmers that they can't burn what they need in order to prepare their fields. It's hard to cut back on people travelling in buses and whatnot. But what are efforts on the part of the authorities to try to reduce the numbers of cars on the roads in Delhi? There's no effort to reduce car ownership in the city. But there have been some other innovative ideas that the government has come up with. Last year, for example, the government came up with the Odd-Even Formula, wherein for a period of two weeks, at the peak of the air pollution season, the government mandated that only half the cars could be on the road depending on their number plate, the registration number plate. So that did lead to some reduction in the air pollution — but because air pollution is a very large problem it expands way beyond the transport sector. Therefore air pollution levels still remain very high. 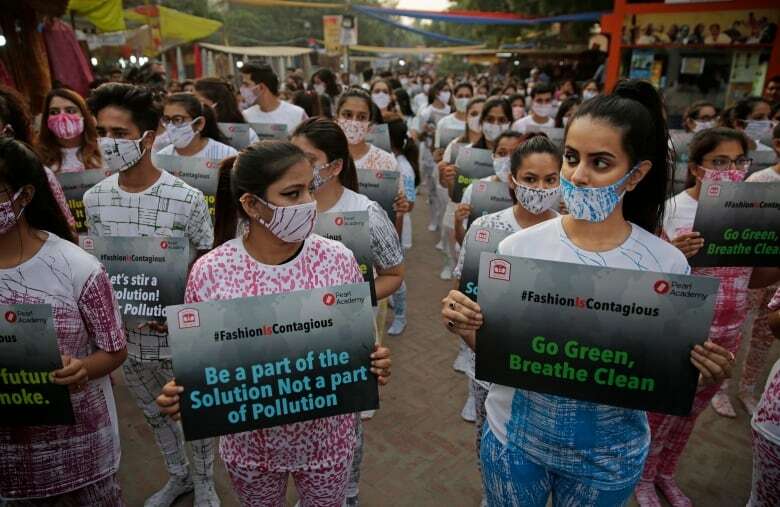 Are you seeing a lot of people wearing respiratory masks? No. You'll find very few people wearing those masks. It's mostly people from the upper-middle class who wear those masks. But you will see a lot more people having air filters in their homes. That's basically the forefront of people trying to protect themselves. At the same time, we know there are so many people in Delhi who live and work on the street. And their housing is minimal too. So what are poor people in Delhi doing? They are pretty much doing nothing and there's nothing that the government is doing for them either. This problem is indeed a very acute one precisely because it impacts the poorest of the poor, disproportionately more. The poorest of the poor who already cannot exclude themselves from the bad air, they have to end up burning firewood to heat themselves and to even cook food for example. So they are punished twice over. Not only from the existing air quality but also from the fire that they themselves end up burning in their own homes or in their own workplaces. We return to this story every year at this time, and at other points, when the pollution gets so bad. Do you see any substantial changes in how the government is dealing with the pollution in New Delhi? There have been changes. The government across a various set of sectors has been doing things to kind of improve the efficiency of energy usage and therefore reduce the amount of emissions that come out from each sector. However, these efforts are failing precisely because the economic activity far exceeds the measures that the government has been taking. As an example, even though the government has mandated fuel efficiency levels for transport and industry, the growth in the industry as a whole far outpaces the efficiency gains they may have had due to these new regulations. So what India really needs is an overarching umbrella policy [like] for example, China's "Blue Skies" Policy. Meanwhile, there is this wonderful festival of lights that you have every year. Diwali that's tomorrow right? And that means firecrackers, gas lanterns, etc. What restrictions are there going to be on those activities? The Supreme Court, only recently, just a week ago, came out with a set of regulations, which includes the restriction of burning firecrackers to between 8 p.m. and 10 p.m. They also include the restriction to usage of only green firecrackers. These are firecrackers which pollute far less and cause less noise pollution too. But India does not have the state capacity to kind-of go out there to ensure that the firecrackers that are being sold and the ones that are being used are the ones that have been mandated by the Supreme Court. The lack of this enforcing capacity is what will ensure that Diwali, that's tomorrow, is going to add to the air pollution levels of the city. Written by Ashley Mak and John McGill. Produced by Ashley Mak. Q&A has been edited for length and clarity.